At Smileworks Youth Dentistry, we love being able to help and interact with children every day. We think it keeps us young at heart too! 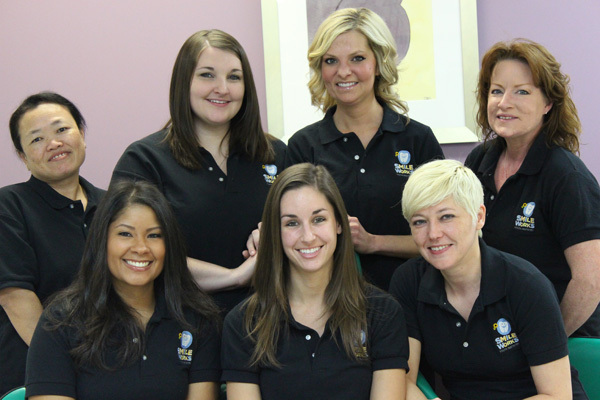 Our experienced and talented dental team is committed to working with you and your children to create a friendly, fun, and professional dental experience every time you visit our practice. We are excited to welcome you and your children, and we look forward to meeting and exceeding whatever expectations you have for your little one’s dental experience. 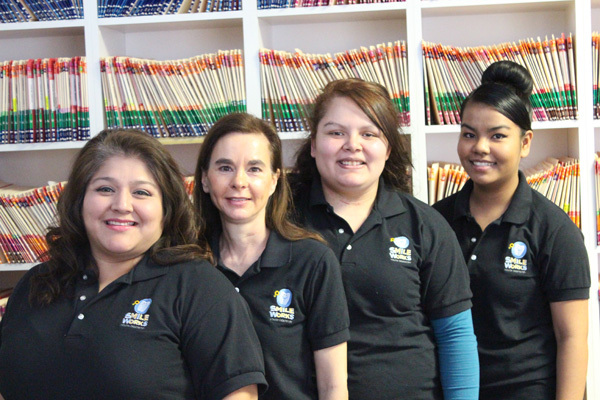 Our front office staff of Linda, Patty, Esmeralda, and Khin will cheerfully welcome you to SmileWorks. These knowledgeable and friendly ladies will assist you in scheduling appointments and filing insurance claims. From the moment you walk in the door until the time you leave, they will make you and your child feel as if you have found your dental home. Our hygiene team — made up of Stephanie, Nicole M., Nicole H., Amber, and Sharon — loves building relationships with each child and strives to make every visit a fun and positive experience. 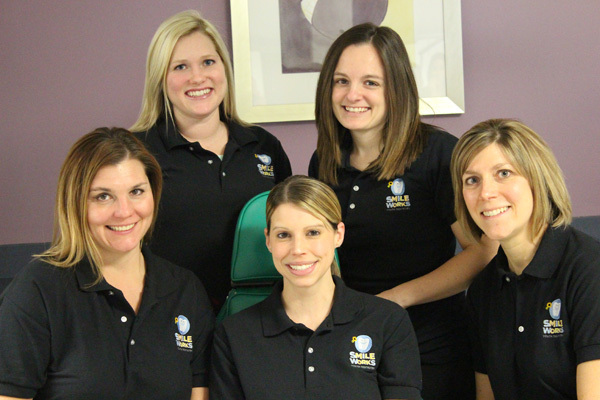 They all have many years of experience working with children and their oral health. They provide excellent care, and educate our patients and parents on the importance of good oral hygiene, diet, and habits. Our team of assistants — Sansan Ko, Callie, Amanda, Kristin, Danielle, Nikolina, and Cindie — take great pride in their ability to help children of all ages. They ensure our patients feel comfortable and at ease during each visit. They enjoy making your child’s visits fun, so he or she can look forward to the time with us. Our assistants love the bonds and relationships they get to form with the children as they watch them grow up.